Verdu shared her existing 3D printable doll and prop models over on MakerBot's Thingiverse for free. She encourages those a little more adventurous to develop their own doll. 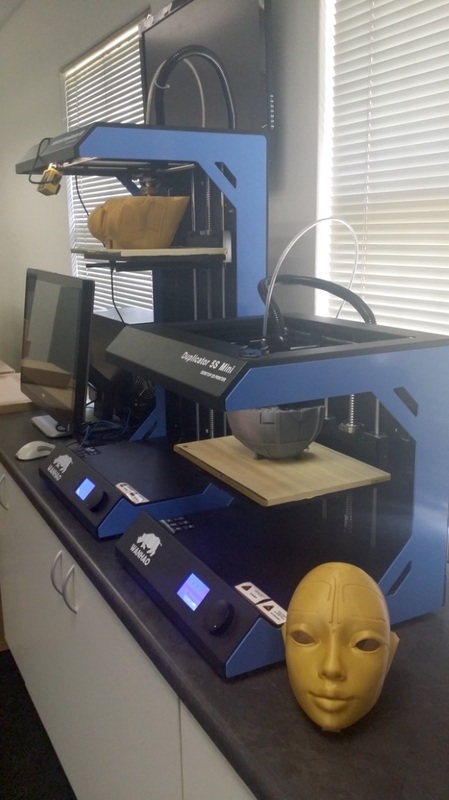 One company, South Africa based CAD House has come up with a 1.7 meter (5.58 feet) full articulated 3D Printed Robotica. 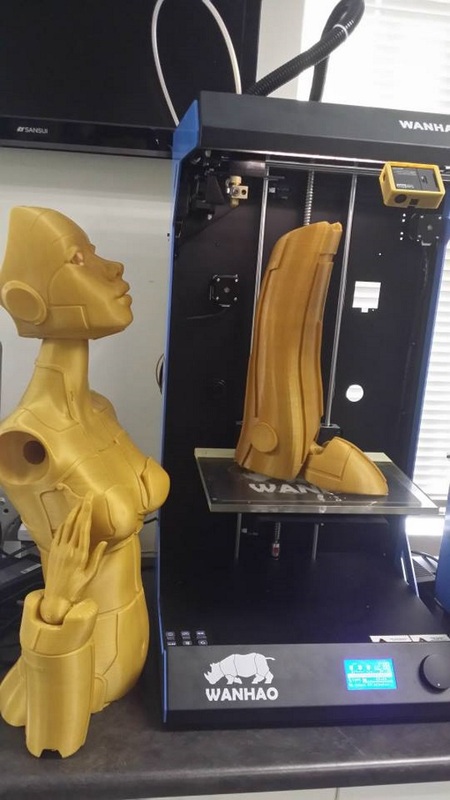 "We decided to 3D Print ‪#‎Robotica‬ as large as we possibly could using the 3D Printers available to us, without the need to split parts up and glue them back together." CAD House explains. "It turns out scaling #Robotica by a factor of 5, she ends up being approximately 1.7meter tall. The entire build will be done using entry level plastic jet printers." 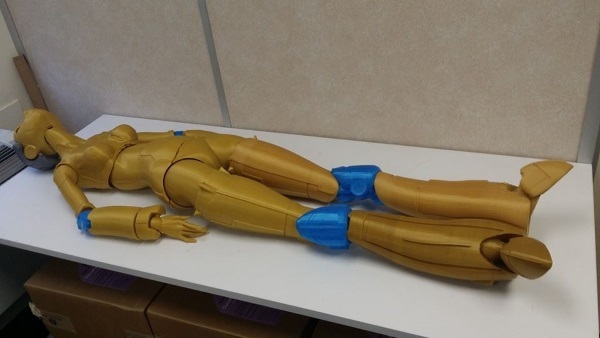 It took them approximately 240 hours of print time to finish the ‎Robotica doll. 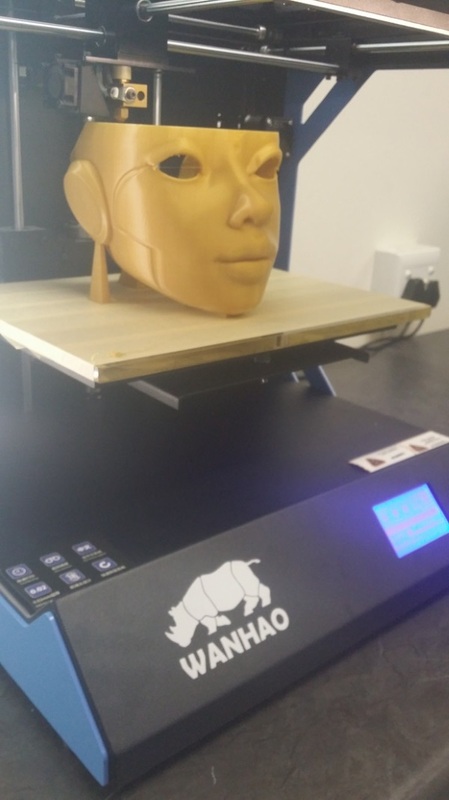 And all the parts were printed in gold PLA filament on a WanHao Duplicator 5S and a 5S mini 3D printer. You can follow Robotica's journey on her very own FaceBook fan page.